Eat. Read. Sleep. Repeat. This is what it can feel like when reading a really good book that is hard to put down! 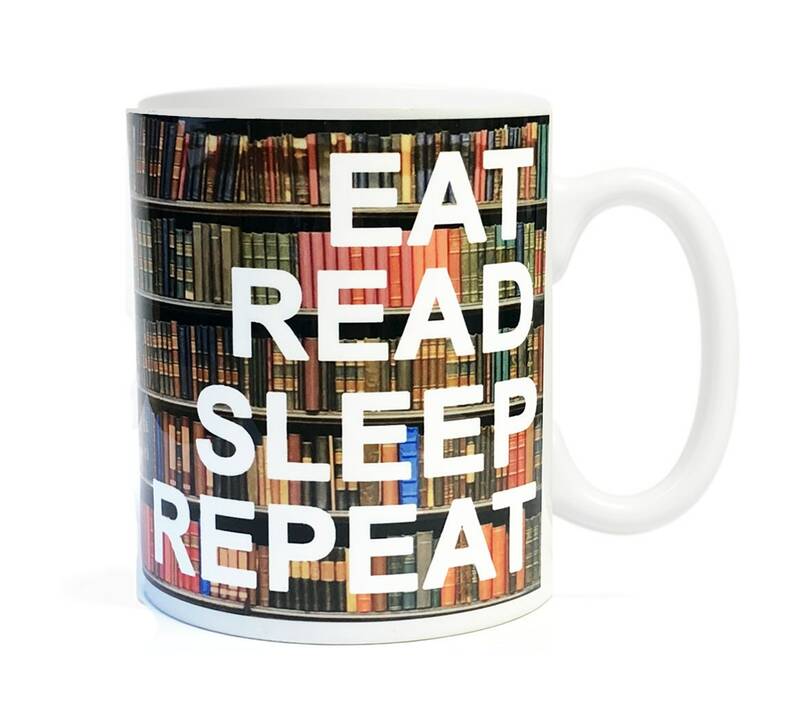 This book and library themed coffee mug is a great gift for any special person in your life. Great for teachers and librarians too!